Apple's iPhone 7 is the next big thing from the house of Apple and millions of fans have their eyes on it. Experts have been constantly speculating about the features of this flagship smartphone from a long time from any update or rumor they came to hear. Based on such rumors and updates we have penned down this write up features all the speculations, rumors, specifications and aspects of this smartphone. To be precise we can see that since 2013 Apple has been releasing its product in the month of September. iPhone 5c and 5s were launched on 10 September(2013), iPhone 6 and 6 Plus were launched on 9th September(2014) and iPhone 6s and 6s Plus were launched on 9 September, 2015. Therefore, we are expecting Apple to maintain this tradition next year as well. Two Korean firms to spend $12.8 billion to build up production capacity. Apple's next iPhone will be cased in curved glass made from liquid metal, according to insiders. An analysts advising Apple investors claims the iPhone 7 will have a smooth comfortable grip made of glass. The news comes two months after the tech firm revisited a patent filed in 2013, which proposed a curved 'glass' case made from an intricate fusion of metals melted together. The design - made from Bulk Amorphous Alloy, which is a mix of titanium, nickel, copper and zirconium melted together - is said to have the smooth texture of glass and the rigid sturdiness of rubber. It was first floated in a patent application filed by Apple in 2013. And yet, despite widespread excitement over the unique design, it still hasn't reached the general public. But now Ming-Chi Kuo, an analyst at KGI Securities who has a track record of accurately predicting Apple's next steps, has told investors the curved glass case will be brought out for the iPhone 7 and 7 Plus. Patent has been submitted and though the research is still going on but we are expecting Apple to introduce this feature from the next generation phones. Gesture pass-code(s) are quite popular amongst the Android users and we might expect the same in iOS platform as well. In the iOS 9 platform we have to use a 6 digit pass-code which the users are not at happy to use. Gesture entry technique patent has been already submitted by Apple and gesture pass-code might be integrated in iPhone 7. In the next generation phones, SIM card is expected to be integrated within the phone and it aligns with different carriers and has the same feature as the normal SIM card. Introduction of this feature in iPhone 7 is going to make the phone far more secured. 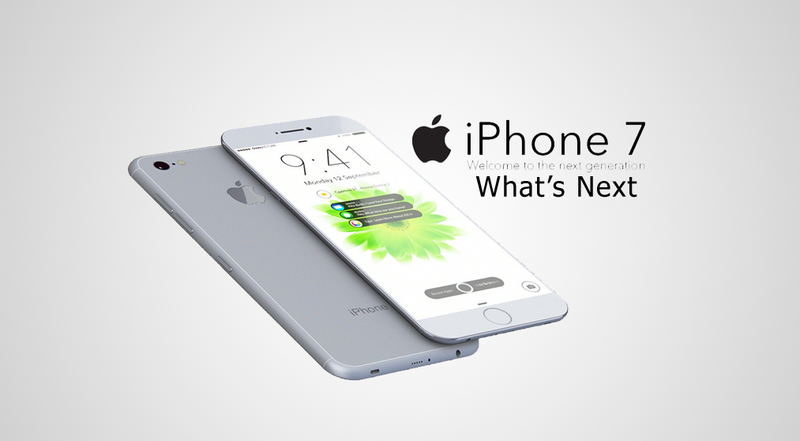 Wireless charging unit was expected to arrive along with iPhone 6s, however it was not introduced. So we are expecting Apple to introduce wireless charging option in the next generation phone. It goes without saying that iPhone 7 will be powered by iOS 10 and therefore it will flaunt all the new features that are being included in the next generation iOS platform. We have been requesting Apple to introduce expandable memory in iPhones from a long time. But our requests have remained unheard. So it is our earnest request again that iPhone 7 comes with expandable memory capacity that will allow us to buy the basic model of iPhone and then supplement it with a MicroSD card with greater capacity. iPhone 7 base model should come with greater memory as the iOS takes away half of the space of the phone and when the phone gets updated, there is a lot more space crunch. So the base model of iPhone 7 should come with at least 32 GB memory. iPhone 7 is going to be integrated with a 12MP primary and 5MP secondary camera just as it is present in iPhone 6S. However, the main attraction as far as iPhone 7’s camera is concerned will be the performance booster that will be added to it. Firstly, it might be equipped with OIS. Secondly, the recent leaks suggest that it will come with a bigger lens that will let in more light and thus ensure better quality picture. We have been expecting an iPhone with edge to edge display from a long time and though our expectation has not been met still now, but we are keeping our hopes high even this time. 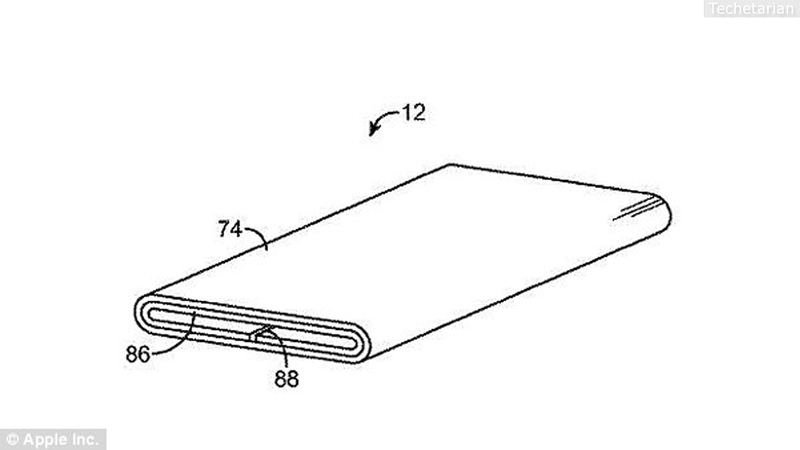 Recently, a patent was submitted which showed a display with bumpers at the four edges. This will protect the screen from getting cracked if it accidentally falls off your hand. However, Apple keeps submitting different kinds of patents which are not in use still now, so whether this is going to be realized this time or not, we are not sure. 3D Touch feature which was present in its predecessors will be present in iPhone 7 as well and might be with additional features. Apple Inc. plans to break with its recent pattern of overhauling the design of its flagship iPhone every two years and make only subtle changes in the models it will release this fall, according to people familiar with the matter. Among other things, those people said, Apple's (AAPL) newest phones will maintain the current 4.7-inch and 5.5-inch displays. Those are the sizes of the larger-display models Apple introduced in 2014, and refreshed with newer models last fall. The biggest planned change in this year's phones is the removal of the headphone plug, which will make the phone thinner and improve its water resistance, said people with that matter. The Lightning connector will serve double-duty as a port for charging the phone and for connecting headphones, they said. KGI Securities analyst Ming-Chi Kuo said he expects the new iPhone, without the headphone plug, to be one millimeter thinner than the current iPhone. Those changes could include an edge-to-edge organic light-emitting diode, or OLED, screen and eliminating the home button by building the fingerprint sensor into the display, according to people familiar with the matter. In the past, Apple has introduced new iPhones on a "ticktock" cycle. Apple delivers major design changes every other year -- the "tick" years -- followed by software improvements and hardware refinements in the "tock" years. It isn't clear whether this year's shift is a temporary or permanent departure from this pattern. iPhone 7 and 7s will be made with a more durable material that will ensure that the phone has a stronger built. We were expecting iPhone 6 display to be made from sapphire glass, unfortunately we didn’t get to see that. So we would be happy to see a stronger and more durable sapphire glass display in the next generation iPhone. There are rumors that the upcoming iPhones will not have the home key. This will help in making the screen bigger in size. However, iPhone 6s Touch ID is integrated in the home button of the phone, therefore removing it would mean that the touch id needs to be moved to either side of the phone or on the screen itself. Apple has lately submitted a patent were the touch id was present in the screen of the phone, so chances of our prediction turning into reality is high. As far as the price of this product is concerned, it is really difficult to speculate about this. However, previously we have seen the price of the flagship products have remained more or less the same. Therefore, we can guess that iPhone 7 will come with a price tag of $850 for 16GB, $1000 for 64GB and $1100 for 128GB.